Splash! is closed every Sunday, except for occasional special events. We will update this page as soon as possible, if there are any changes to our normal Monday – Saturday schedule. 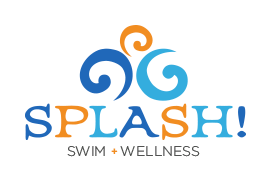 We will post any emergency closings that might happen due to weather, etc, on this page and our Facebook (SplashMequon) & Twitter (@SplashSwimWell) . Please “Like” and “Follow” these pages for updates. We will personally call all our students that are scheduled to have swim class, if we have an emergency closing. Please make sure we have your best phone number (and email) on file. Thank you! *Last day of 2019 classes will be Dec. 21st.